Searchfindit.com – How to remove? 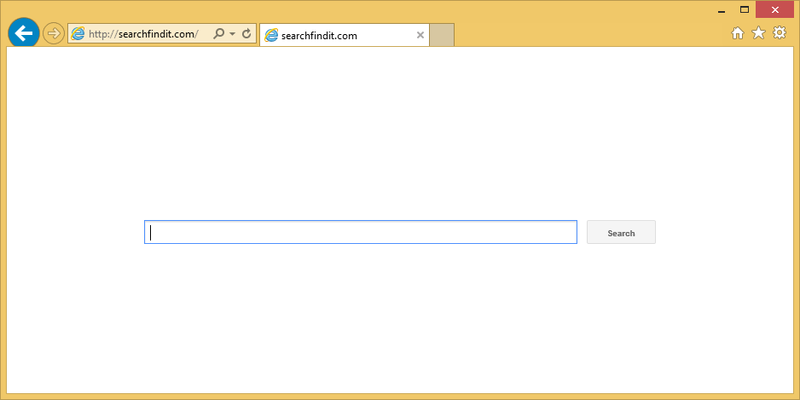 Searchfindit.com is a dubious search engine, classified as a browser hijacker due to its questionable features. Many users might mistake it for a malicious virus because it will suddenly appear and make unwanted changes. But it’s not malware, a redirect virus is a more appropriate classification for this browser hijacker. It will not endanger your compute directly, but it will annoy you with its constant need to redirect you to sponsored websites. That is the main purpose of a browser hijacker, it aims to generate traffic to make revenue. And in some cases, you might be led to some rather questionable websites and end up running into malware. Searchfindit.com has nothing useful to offer you so we suggest you delete Searchfindit.com. Why do you need to remove Searchfindit.com? Browser hijackers cannot install without your permission. You have to allow them to install and you end up doing that unknowingly. Searchfindit.com is attached to freeware in a way that allows it to install together with freeware. This happens if you use Default settings when installing the freeware that has Searchfindit.com attached to it. Default settings do not show you any added items and by choosing those settings, you are basically giving it permission to install. However, if you choose Advanced (Custom) settings, you will have the option of deselecting any added item. You should always choose those settings because then you will not have to uninstall Searchfindit.com or similar unwanted items. The first thing you will notice is that Searchfindit.com has set a new homepage, new tabs and search engine. It can hijack most of the leading browsers (including Internet Explorer, Google Chrome and Mozilla Firefox) so you can’t just switch browsers and hope the problem goes away. You might also not be able to restore the settings without first having to uninstall Searchfindit.com from your computer. If you use the search engine, you will immediately notice that it inserts a lot of sponsored content into the search results. We don’t suggest clicking on them because you might end up on some rather questionable websites that have little to do with what you were looking for. This is highly inconvenient when you are urgently looking for something. Those redirects are usually harmless but because Searchfindit.com does not care on what kind of website you will end up, you might be led to a dangerous one. There are many websites on the Internet from where you could accidentally download malware onto your computer. This browser hijacker will only bring you frustration so we suggest you delete Searchfindit.com. If you want quick Searchfindit.com removal, we recommend you obtain a credible removal tool. It will remove Searchfindit.com without issue. If you do not want to get such a program, you can also erase Searchfindit.com manually. This will take a bit more time because you will have to locate and eliminate Searchfindit.com yourself.